Panto is a uniquely British institution. Oh yes it is. There was no panto for me growing up in rural Australia. Oh, no there wasn’t. But as you can see, I’ve embraced this tradition – and this Christmas I’ll be taking the mini mudlets to see several shows. 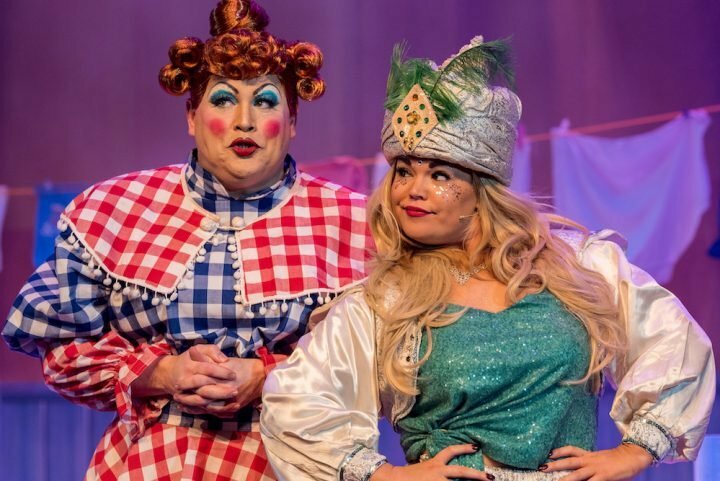 The Yvonne Arnaud Theatre in Guildford has a reputation for producing one of the best panto shows in Surrey, this year revisiting the popular Aladdin which it last did in 2012. And being the snoop I am, I had to check out exactly what was behind it all. So here’s my guide to the goodies, the baddies and the dame. Interesting snippet: As it happens, in real life Janie is old pals with Kit Hesketh-Harvey, the baddie. 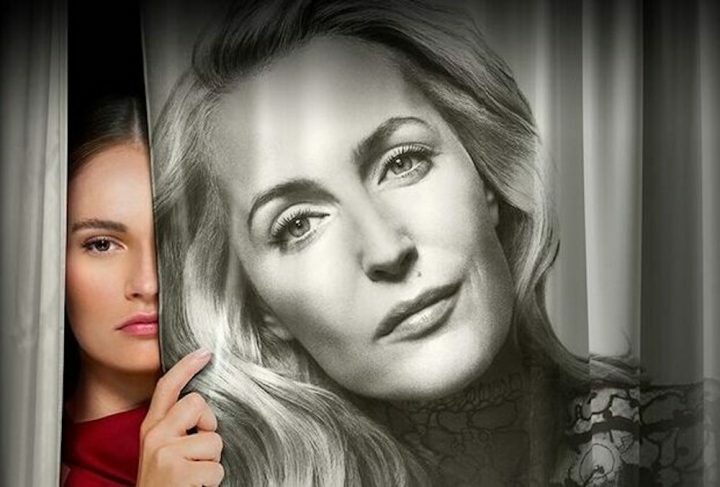 The pair have performed many times together, including a cabaret show at Yvonne Arnaud in 2011. 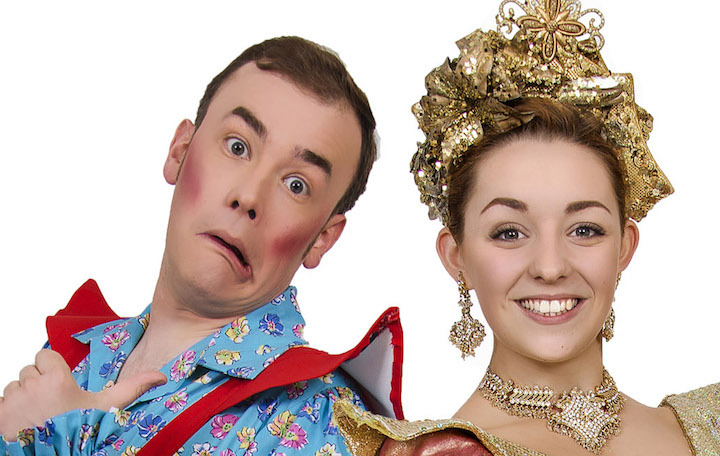 Supreme panto villain Kit Hesketh-Harvey returns to Guildford for another year of panto. 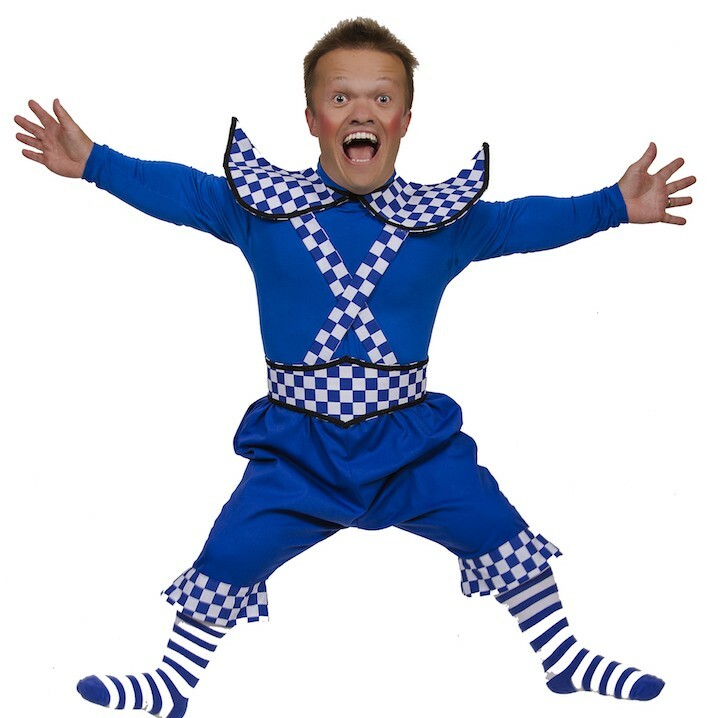 But when he took his first panto role at the theatre, did he think he’d make an annual pilgrimage to play the panto villain six years down the line? “No, not in a month of Sundays!” he tells us. 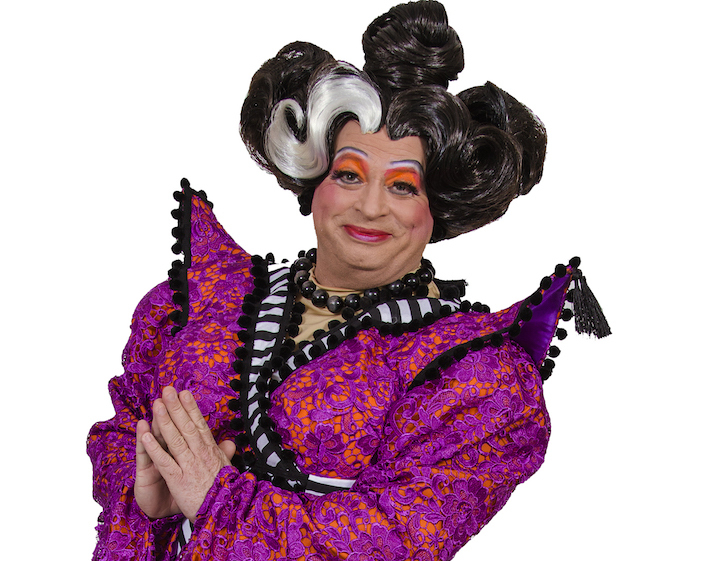 Eagle Radio’s breakfast show host Peter Gordon comes back for his 11th year of panto at the Yvonne Arnaud as the panto dame. “The great thing about being a dame is that the costume walks on to the stage and does half my job before I even open my mouth,” he says. 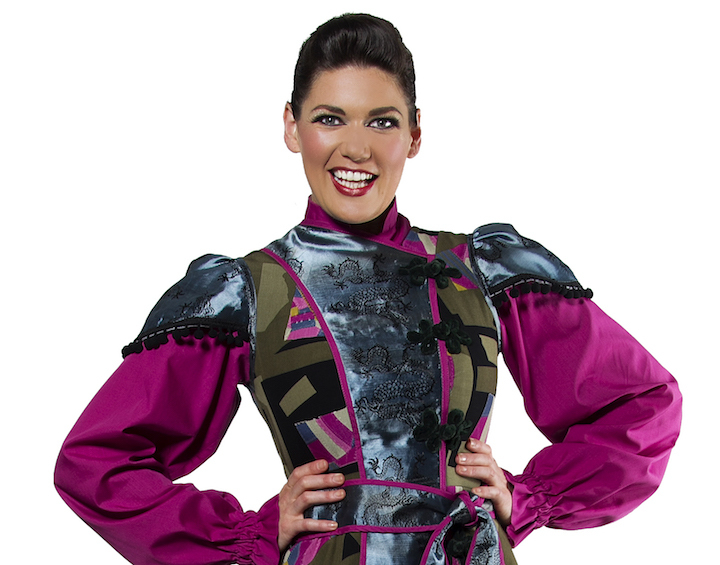 “I love the ridiculousness of it, the traditionalism of it… and long may the dame role last in panto. Interesting snippet: Charlotte grew up in a peformance-led world. Her dad is an actor and her mum is a dance teacher. She started dancing when she was two and performed in her first local theatre show when she was five. 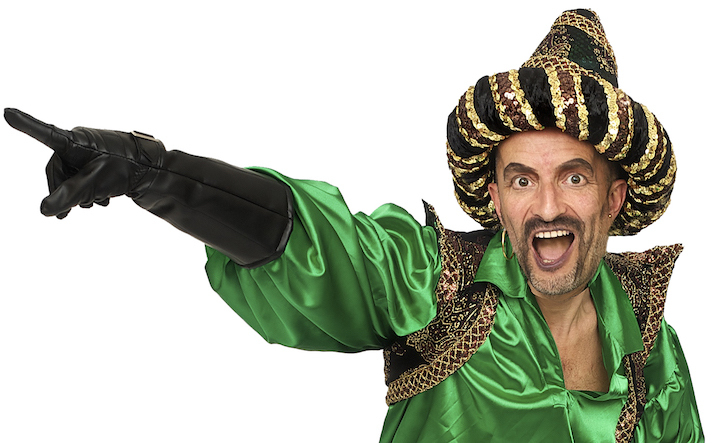 Aladdin is at Guildford’s Yvonne Arnaud Theatre from Fri 9 Dec to Sun 8 Jan.